There’s nothing quite like the charm and street appeal of a picket fence. Timeless and enduring, picket fences create a stunning first impression, enhancing the appearance of your garden and home as a whole. Made by MLC Group, the Motueka Pickets® range of fence pickets, gates and fence panels will surround your home and garden with style. Made from sustainably managed New Zealand Radiata Pine, your Motueka Picket fence will give a sense of security while showcasing your garden and landscaping to perfection. 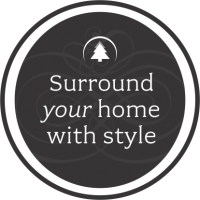 Surround your home with the style, charm and street appeal of Motueka Pickets®. Our pre-made range of fence panels will fit straight into your fence line. Insert your posts at the required spacings and attach the panel straight on. Fast and convenient. Motueka Pickets® pre-made gates give you extra privacy and security. With a range of sizes, heights, profiles & styles, Motueka Pickets® have the gate for you. Erecting a great looking picket fence is something a competent DIYer can accomplish. Watch this video to learn how. Want to know where to buy our picket fencing products?